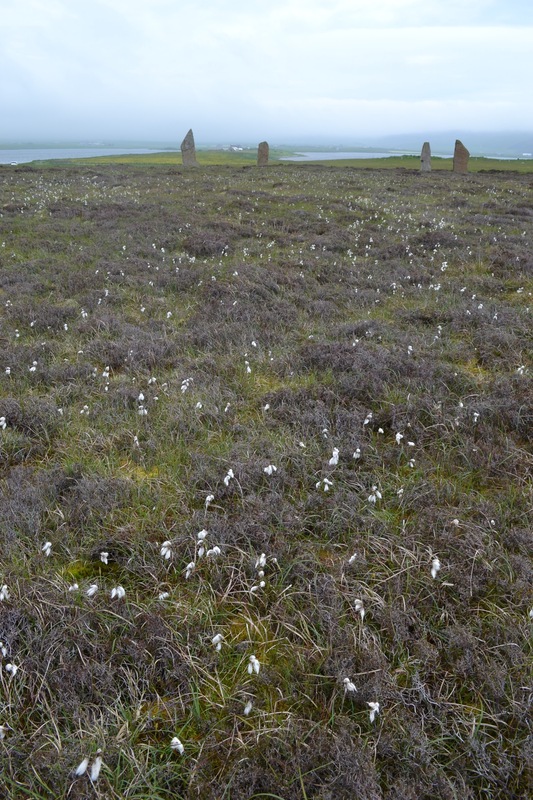 The Ring o’ Brodgar takes its name from the nearby farm. For years, the origin of the placename has been explained as being from the Old Norse brúar-garðr meaning bridge farm. However, there is another intriguing possibility. Bearing in mind the local pronunciation, broa(d)yeur, could the name actually stem from brúar-jorð – earth bridge? 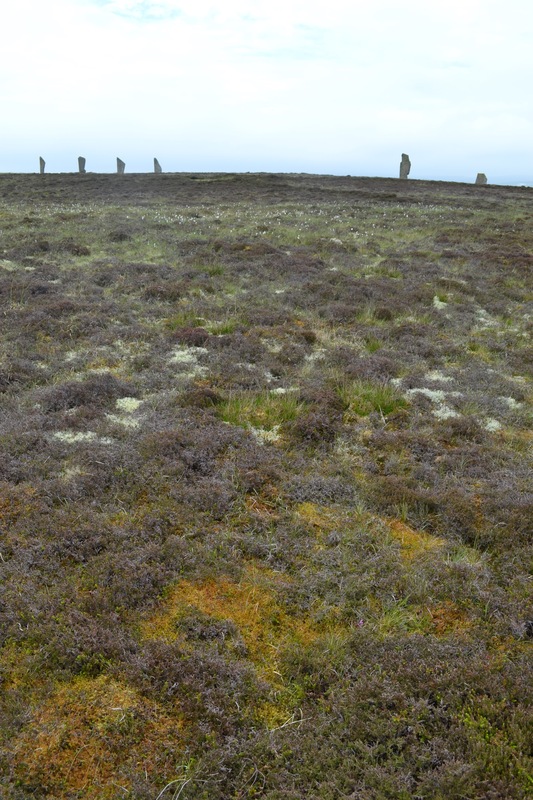 In this case the “earth bridge” could be the entire Ness o’ Brodgar. There is a separate ecosystem in the ring with tiny bog plants and flowers. What look like feathers or sheepswool caught in the heather is a grass with a feathery white flower. 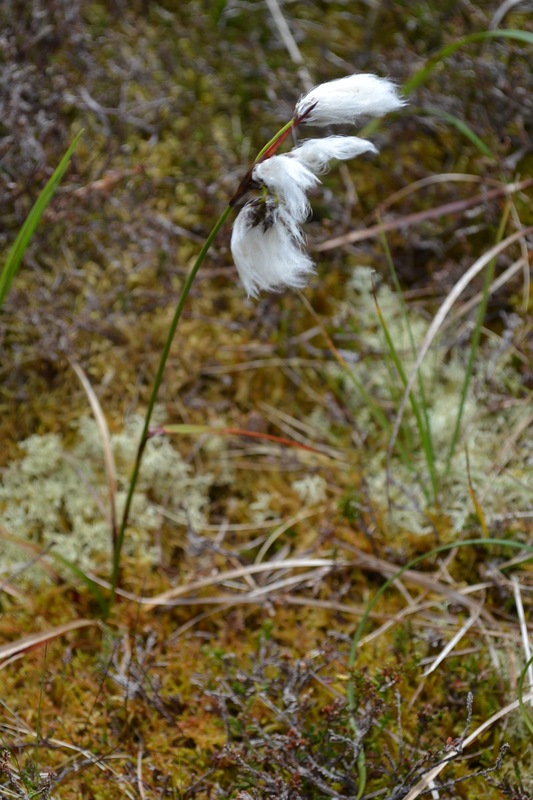 It’s name apparently is Bog Cotton (thanks to Paul Murphy). It is a sedge – see below. From Wiki: Eriophorum angustifolium, commonly known as common cottongrass or common cottonsedge, is a species of sedge in the plant genus Eriophorum of the family Cyperaceae. Native to North America, North Asia, and Northern Europe, it is often found on peat or acidic soils, in open wetland, heath or moorland. It begins to flower in April or May and, after fertilisation in early summer, the small, unremarkable brown and green flowers develop distinctive white bristle-like seed-heads that resemble tufts of cotton; combined with its ecological suitability to bog, these characteristics give rise to the plant’s alternative name, bog cotton.